Rara Tou Limen (RTL) has performed at festivals as well as cultural and academic institutions throughout the Bay Area including: The San Francisco Ethnic Dance Festival, The Black Choreographer's Festival, The Malcolm X Jazz Arts Festival, The San Francisco Black Film Festival, the deYoung Museum, Ashkenaz, CubaCaribe Dance & Music Festival, Hastings to Haiti Celebration, San Francisco Carnival, Hamlin School, Mills College, University of California at Berkeley, California State University at Chico and the Berkeley Public Library. Established in 2004 by Artistic Director Portsha Jefferson, Rara Tou Limen has continually offered Bay Area residents, as well as people from all over the United States, the opportunity to experience Haitian music, dance and culture through classes, workshops, performances and educational events in both the United States and in Haiti. 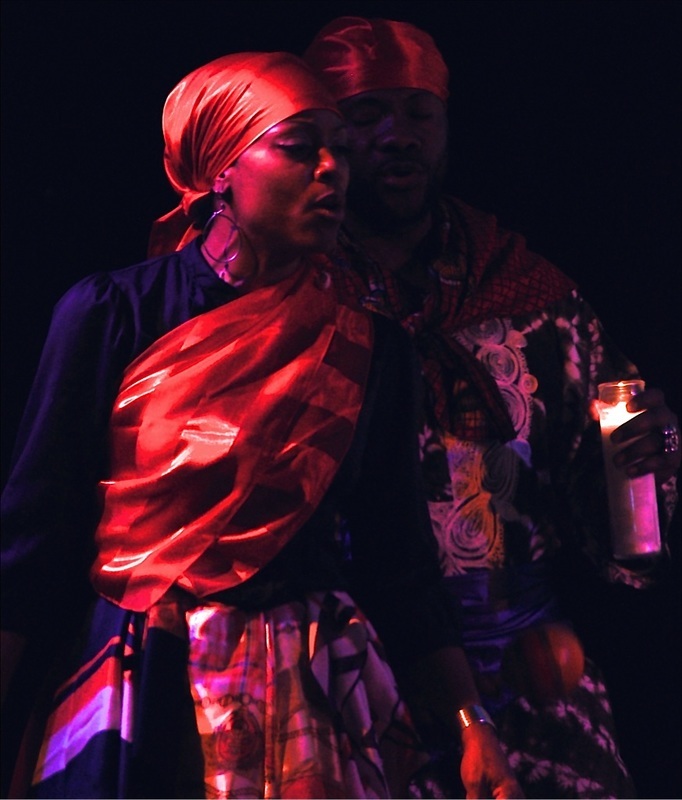 Our mission is to educate audiences about the richness of Haitian culture through artistic expression, while building and enhancing working relationships with other Haitian cultural groups in the U.S. and Haiti. The company is carrying on the long legacy of creating strength and solidarity within the Haitian community, while actively raising awareness (and funds) for Haitian organizations. Our objective is to help nurture and grow Haitian dance and musical traditions in the Bay Area. 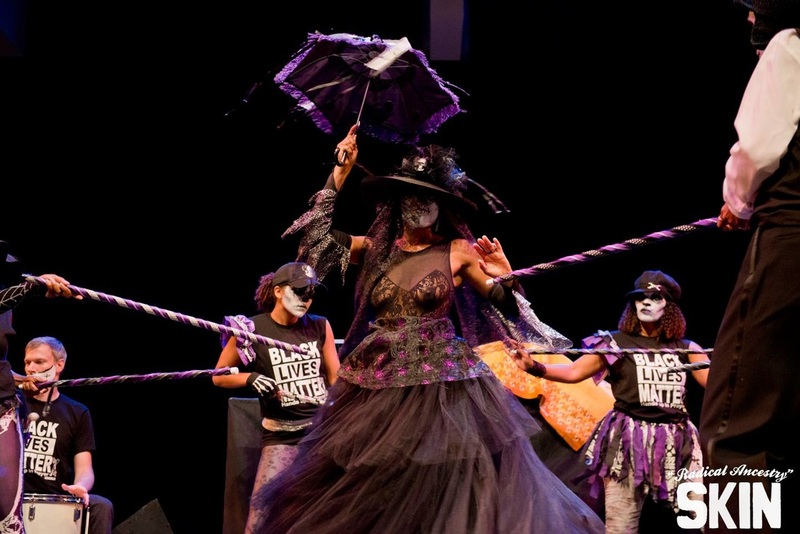 The company is committed to showcasing the best of folkloric dance and music, which carries in it the stories, struggles, and spirit of the first free Black Republic in the world. Rara Tou Limen continues to uplift a country whose culture has increasingly sustained the Bay Area's artistic community and beyond. In celebration of Rara Tou Limen’s 10th Anniversary, the dance & music ensemble traveled to Haiti (August 2014) for a two week adventure! Company members participated in folkloric dance workshops at Ecole Nationale des Arts (ENARTS) with celebrated instructors, and visited natural and historical landmarks to investigate and research Haitian cultural traditions. 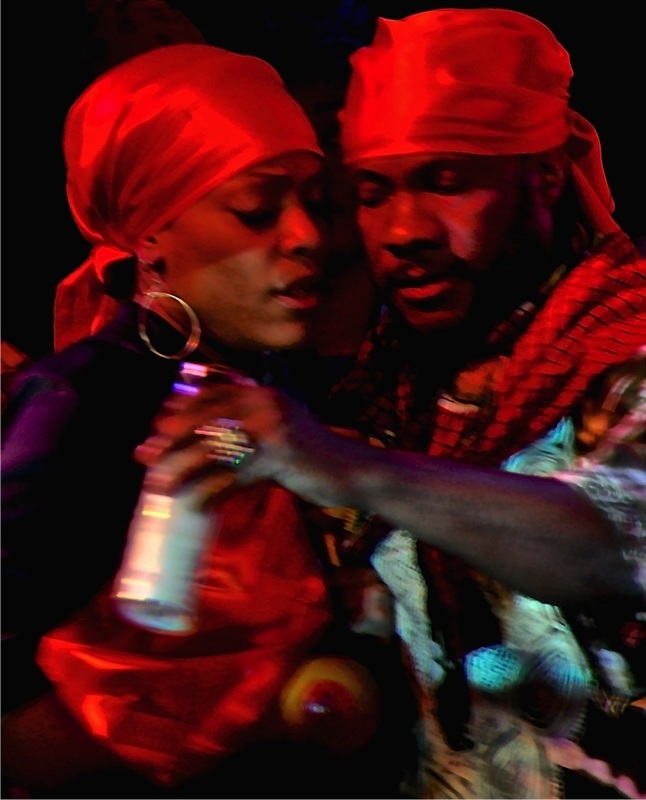 In addition, RTL presented their full-length artistic offering, Limyè pou Ayiti... Lavi Kontinyè! Most recently, the company traveled to Montreal, Canada to perform in TWA, an artistic collaboration with celebrated Haitian dance companies, Mapou Ginen and Sole Danse Traditionnelle Moderne, celebrating the 225th anniversary of Bwa Kayiman. To celebrate the closing of the exhibition "Radical Presence", SKIN World Wide and YBCA present "Radical Ancestry", a dance floor journey through sound, art, tradition, and folklore. 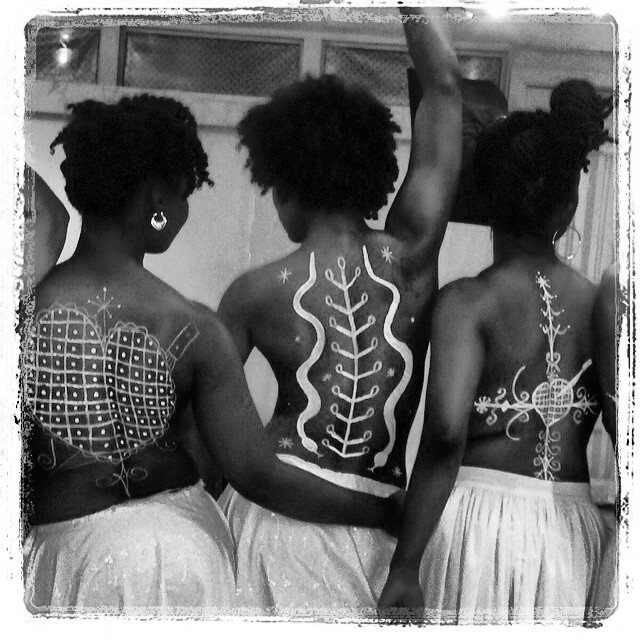 We invite you to this gorgeous, visceral celebration that weaves through the African and Latin-American diasporas. Featuring a mixture of live performances, dance, visual art, and DJ’s, we pay homage to our common bonds of ancestry and rhythm. "The dance (Yanvalou) often featured powerful waves traveling up and down the dancers' spines. 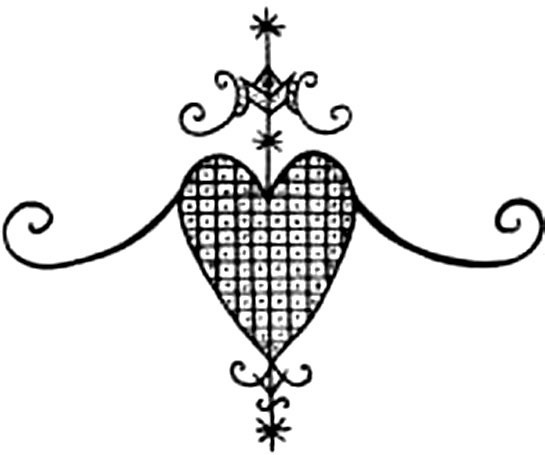 Footwork and a ritual that could be followed like a story, but it was the way those women were convulsed by simultaneous convex and concave bends of the body that stays keenest in the memory." Portsha Terae Jefferson is a professional dancer and choreographer trained in Ballet, Modern, Jazz and African derived styles, who specializes in Haitian Folkloric Dance. She began her formal training at the age of six at the Marsha Woody Dance Academy in Beaumont, Texas. Established in 2004, Ms. Jefferson is the founder and artistic director of Rara Tou Limen (RTL), an arts organization that presents Haitian music, dance & culture through classes, workshops, and performances. Picolla, DanceVersity, Swivel Arts, and most recently, Music In Schools Today. Ms. Jefferson has taught creative movement and Haitian Folkloric dance in schools, universities, community centers and dance studios for seventeen years. Ms. Jefferson was a principle dancer and vocalist with Group Petit La Croix (1996-2003) under the leadership of veteran dancer and educator Blanche Brown. She has been fortunate and blessed to grace the stage with Reconnect, Ase Dance Theater Collective, Feet of Rhythm and El Wah Movement. In Haiti, she has had the privilege to perform with Compagnie Culturelle Des Arts and Ayiti Dans Ansanm (ADA). Guest performances with Afro-Cuban companies include: EMESE: Messengers of the African Diaspora, along with Jose Francisco Barroso & Obakoso. Ms. Jefferson's dedication and exploration of Haitian culture have brought her to Haiti, where she has traveled throughout the country to research regional dance, rhythms and musical traditions since 2003. Specific interest and concentration of study took place in Gonaives at Lakou Badjo, where Nago (Yoruba) traditions are preserved, and at Tanp Souvenance Mistik, a Vodou community that celebrates it's Rada (ancient kingdom of Dahomey) heritage. Further studies at Ecole Nationale des Arts (ENARTS), Vivian Gauthier's School of Dance and Artcho Danse, the official dance school of internationally renowned dance troupe Ayikodans, provided a rich foundation into the Folkloric aspect of Haitian culture. Lynn Coles, Blanche Brown, Peniel Guerrier, Cadet Jean Evens, Emmanuel Louis, Metayer Frantz, Ramses Pierre, Lee Hetelson and Daniel Brevil, among others, have played a key role in her artistic growth. Currently, Ms. Jefferson is an Adjunct Professor at the University of California at Berkeley, Conservatory for Contemporary Dance Arts (CCD) and is an artist in residence for Oakland, Berkeley, Richmond and SF Unified School District. In addition, she is an instructor at East Bay Dance Center, Dance Mission Theater and the Malonga Casquelourd Center for the Arts. She also serves as a Cultural Arts Specialist with Oakland Parks and Recreation where she continues to share her love of dance with Oakland youth. Ms. Jefferson is a recent grant recipient from the American Folklore Society to continue her fieldwork in Haitian Folkloric Dance & Musical Traditions. and a true ambassador of his country..."
Daniel "Brav" Brevil was born into a drumming family. His father, Joseph Brevil, a respected community activist, houngan (Vodou priest), and accomplished drummer, was Daniel's first teacher and source of knowledge, wisdom, and inspiration. 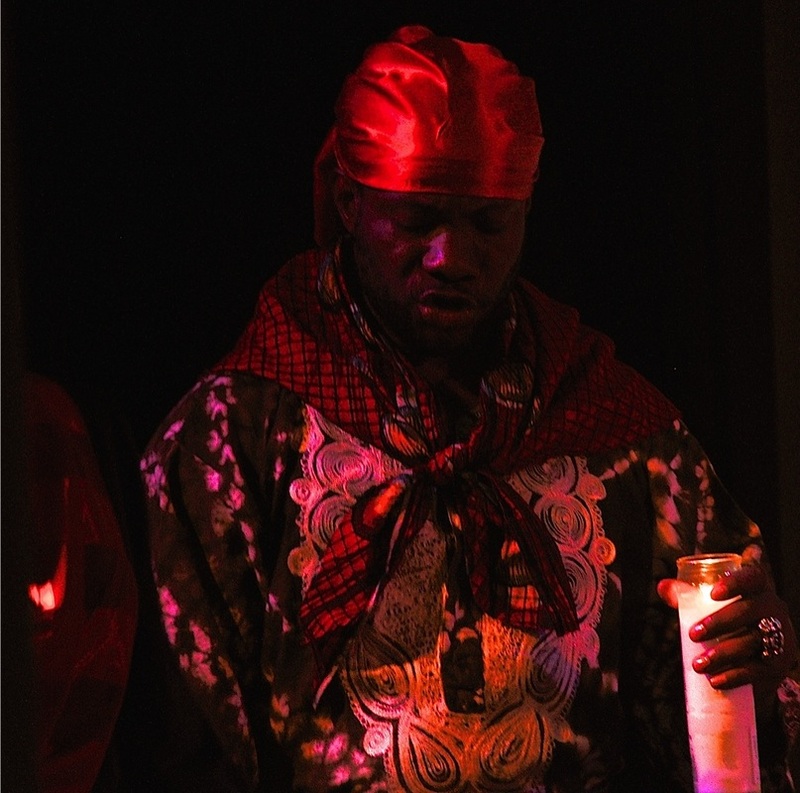 As a young boy, Daniel would accompany his father to the all-night ceremonies in the Vodou temples of Port-au-Prince, Haiti, where he was in much demand. As a student, Daniel deepened his knowledge of Vodou, the religion of the Haitian people, and its drumming, dancing, and singing, as he attended Ecole Nationale des Arts, Haiti's premiere school of the arts. He is the former Musical Director of Artcho/Ayikodans Company and Tamboula, two of Haiti's premiere folkloric dance troupes. 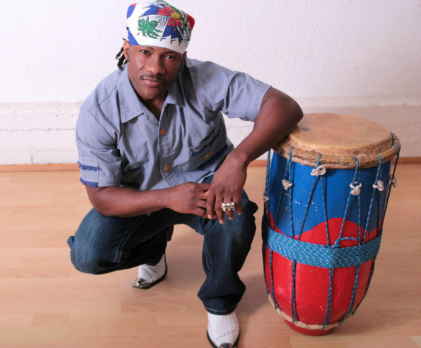 He is the Musical Director of Rara Tou Limen Haitian Dance Company. Over the past 25 years, Daniel has worked to foster an understanding of Haiti, its traditions, and its distinct cultural expressions. Daniel has recorded and performed with luminary figures of Haitian music, such as Azor, Emeline Michel, James Germaine and Daniel Beaubrun (Boukman Eksperyans), among others. His performing career has brought Mr. Brevil to the world's stages including Haiti, the Dominican Republic, Guadalupe, Martinique, Jamaica, the Bahamas, Canada, Spain,France, Greece, Japan, and Puerto Rico. Theater credits include: "Haiti: The Rhythms, The Dances and The Gods," which starred Danny Glover. 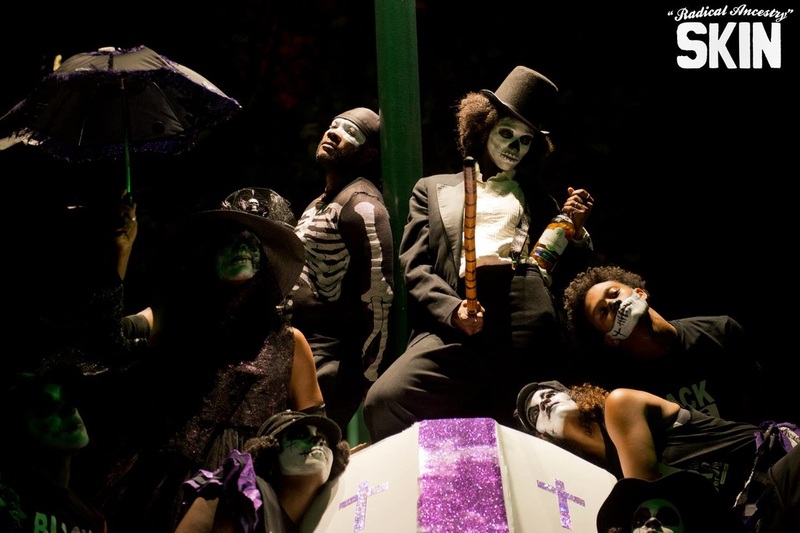 Mr. Brevil toured the United Kingdom with the production "Vodou Nation," to critical acclaim, and was a featured orchestra percussionist in the December 2004 Lincoln Center performance "How Papa Noel Forgot Haiti." Mr. Brevil is an accomplished drum teacher, leading classes and workshops for youth and adults worldwide. He exemplifies a unique insight into the relationship between dance and drum, which informs his compositions, arrangements, performances, and teachings. Most recently Daniel was awarded a grant as master artist in ACTA's Apprenticeship Program, with apprentice Kendrick Freeman. Currently, Daniel teaches drumming to youth at various schools and enrichment programs. Mr. Brevil also conducts TRINITY, a monthly drum, song and dance workshop that demonstrates the intergration of these 3 forms in traditional Haitian culture. Rara Tou Limen continues to uplift a country whose culture has increasingly sustained the Bay Area's artistic community and beyond! Our objective is to help nurture and cultivate Haitian dance and music traditions in the Bay Area through building & enhancing working relationships between artists promoting Haitian culture across the U.S. and in Haiti. A Historic Anniversary Celebration/Concert Performance was RTL's latest milestone envisioned in partnership with Artistic Director, Portsha Jefferson, and Musical Director, Daniel Brevil accompanying Rara Tou Limen to Haiti, in celebration of their 10th Anniversary. Aug./ Sept. 2014. Halima Marshall, San Francisco educator and life-long learner, started her experience in dance at a young age in school performances and groups. Her first classes of Haitian dance started at St. Mary’s College in 1995 with Haitian Dance instructor and Director of Group Petit La Croix, Blanche Brown. Returning to San Francisco to continue dance classes, Halima was a regular dance classes at Dance Mission, then Third Wave Dance, with both Blanche Brown and then with Haitian dance instructor Michelle Martin. Staying close to her caribbean dance foundation, in 2001, Halima was introduced to the improvisational dance of Bomba and other folkloric dance, song and drum traditions of Puerto Rico. As a dancer within the San Francisco Carnaval performance contingent, whose members later formed the Bay Area performance ensemble, Aguacero, this was the start of her folkloric dance performances. Halima extended her studies and performed under the direction of founder and artistic director Shefali Shah and musical director Hector Lugo in the Puerto Rican Day Festival and at La Pena Cultural Center. Halima returned to advance her study of Haitian dance in 2007 under Portsha Jefferson, and was first invited to perform with Rara Tou Limen in a lively rara performance at Ashkenaz in Berkeley. Authentic rhythms and song, high energy, dancer camaraderie and overall showmanship, would be the defining elements of what most captivated her as a dancer. Since then, Halima has performed the colorful and emotion-filled narratives as a member of Rara Tou Limen in the Bay Area and internationally in San Francisco Carnaval, San Francisco Ethnic Dance Festival, Black Choreographers Festival, multiple performances at the Malonga Casquelourd Center for the Arts and with Mapou Ginen Haitian Folkloric Dance Troupe in Montreal, Canada. This diversity of experiences over the years has afforded Halima the opportunity to use her skills as an educator, along with her love of Haitian dance to teach Haitian dance classes in the Bay Area. Presently, Halima concentrates her study of Haitian culture through dance and song with Blanche Brown, Portsha Jefferson, and Rara Tou Limen’s Musical Director Daniel Brevil. 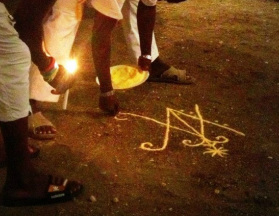 A 2014 Cultural Exchange Trip to Ayiti was the pinnacle of her experiences as past knowledge was given life through the witnessing of vodou on the soil of Ayiti. She brings reverence for the spirit of vodou and acknowledgement of the fullness of culture of Ayiti to her own dance and teaching experiences. ...is an actor, dancer and movement specialist from the SF Bay Area. Rami completed the 3-year training in the Stanislofsky System and Shakespeare at the Bennett Theatre Lab in San Francisco. She has also studied circus, improv and various forms of physical theater including Clown, Buffon, Commedia, Suzuki and Viewpoints. Rami has appeared on many Bay Area stages including Berkeley Rep, Cal Shakes, S.F. Shakes, Marin Theatre Co, Shotgun Players and Crowded Fire. She is a former member of the all-female Shakespeare company Woman's Will and the improv comedy troupe The Original Action Pack. She is currently a resident artist with Crowded Fire Theater, S.F.-based theater company focused on developing and producing new work, and an associate artist with Mugwumpin, and divised physical-theater company. Rami has trained in roughly twenty styles of dance in the US, Haiti, Cuba, Brazil, and Indonesia. She was a founding member Reconnect, an African-diaspora dance theater company, and she is currently a member of Rara Tou Limen Haitian Dance Company. Other companies she has danced with include Deep Waters Dance Theater, Axe Dance Theater and Group Petit La Croix. She often works as a choreographer and movement director. For a joyful sweaty time, come take her dance workout class at Rhythm & Motion! Rami is a storyteller. She co-hosts The SHOUT, a monthly storytelling event in Oakland. She has written 4 short children's plays. All she really needs to know she learned at circus camp. Michelle Peacock is originally from Los Angeles, CA and enthusiastically began training 22 years ago in various dance forms. High School is where Michelle was accepted into a prestigious performing arts school, The Los Angeles County High School for the Arts where she studied with various well studied teachers and continued to perfect her skills. After graduating high school she went on to further her training in dance while getting her B.A in Broadcast communications at San Francisco State University. After graduating college and entering into the work force, dance, her one true love and passion was calling out to her, so she sought out classes until she stumbled upon Portsha’s Haitian dance class on a bright Sunday and thus began her love affair with Haitian dance. Michelle has been a member of Rara Tou Limen since 2011, where she has engrossed herself into Haitian folklore, with a willingness to continue to train and study as much as she can about Haitian culture through myriads of classes, workshops, performances and traveling to different countries with the company, showcasing the vibrant spirit of the Haitian culture. A lover of all forms of dance, Yolande Sterling has been an avid student of Haitian folkloric dance since 2008. She has studied and danced with veteran dancers and educators such as Blanche Brown, Michelle Martin and Portsha Jefferson. Ms. Sterling has traveled to Haiti on several occasions to experience the culture first hand by traveling to various parts of the country as well as learning from dance and song instructors at the Ecole Nationale des Arts (ENARTS). Ms. Sterling joined Rara Tou Limen in January 2014 and has been fortunate enough to travel and perform with the company both in the Bay Area and internationally in Haiti and Montreal Canada. In keeping with her love of folkloric dance, Ms. Sterling has performed with the Afro-Cuban folkloric company Grupo Nago Experimental under the guidance of Artistic Director Temistocles Fuentes Betancourt. She has also studied with and danced in San Francisco Carnaval with Afro-Brazilian dancer/choreography Tania Santiago, Artistic Director of Aguas da Bahia Dance Company. Yolande is passionate about Haitian dance as well as the rhythms that embody the culture. Born and raised in Detroit, Michigan and a proud member of the Deaf/HOH Communities, Sanie, now a mother of 2 boys, began dancing at a very early age studying ballet, modern, jazz and hip-hop, performing with various groups in Detroit. An avid student of Haitian folkloric dance and traditional Afro-Cuban folkloric dance, she continues living her passion of dance and enjoys performing with dance companies in the Bay Area. Sanie is thrilled to see dance dreams become reality with Rara Tou Limen. Kariamu Eryka Nadreau was born in Port-au-Prince, Haiti and raised in Los Angeles, Ca. Ms. Nadreau has studied various dance styles from Africa and the diaspora including Afro Brazilian, Afro house and Haitian folklore. In addition to dance she has also studied sound design, fashion and Anthropology. Her work has been seen on local TV, theater and featured in music videos. Mikhaila Fendor was raised by Liberian immigrants in a primarily Mexican American town. The culture inside her home did not match that of her social life but each of them eventually blended together to carefully form who she has become. She loves that Carnaval represents a unique and beautiful amalgam of cultures. Mikhaila currently performs with Tania Santiago's Aguas Dance Company, Rara Tou Limen, and Sistas–Wit–Style's Carnaval contingent. She has studied many forms of dance since she was young (ballet, cheer, drill-team, hip hop), but nothing makes her feel quite as alive or at home as when she is practicing dances from cultures within the African diaspora. Patrice Roland began his dance training in 1980 at San Francisco State University, specializing in Jazz with Ms. Cayou and Dr. Albirda Rose. He then danced with Wajumbe Dance Company. Patrice discovered Haitian dance in 1981, which led him to train with Blanche Brown, director of Roots of Haiti, which later became Petit La Croix. He performed with PLC until 1994, and decided to officially retire from dance. As dance is an integral part of his life, Patrice returned to the studio to study Congolese dance with Malonga Casquelourd, Founder and Director of Fua Dia Congo. He returned to Haitian dance in 2001, and at 55 years young, he is still actively performing, training and traveling. Currently, Patrice dances with Rara Tou Limen, and also creates art work and props for the company. Patrice has had the opportunity to travel with Rara Tou Limen to Haiti (2014) and Canada (2016) to further his knowledge of Haitian culture, train with celebrated dance instructors, and perform for audiences internationally.